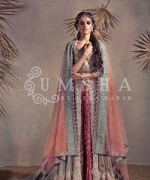 Umsha by Uzma Babar bridal wear collection 2015 for women is all here now! This Bridal Collection has been named as “Floral Goddess”. In this collection, Amna Ilyas has done the modeling, Photography has been done by Ayaz Anis, Make up and Styling has been Raana Khan, Jewellery is done by Hamna Amir. They have named up these dresses by A Little Pink Me Up! 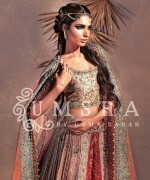 Here in this post, we will be sharing the pictures of this Umsha by Uzma Babar bridal wear collection. 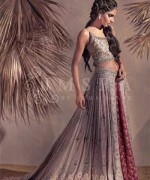 You can too pick up these bridal dresses if you are wedding is on its way. As you can see in the pictures that these bridal dresses are covered with these pink shades, they are covered with this fancy dabka work. This collection has these long shirts, they are having these fancy work long shirts and they are fused with these lehengas too. 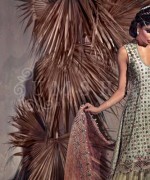 It is the best bridal collection line so far by this Umsha by Uzma Babar hub, this model has been too looking amazing. If you too want to get that amazing bridal look then you should be trying out these bridal dresses by this label. 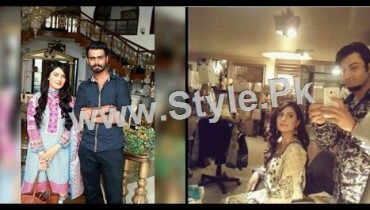 Do also check out the face book fan page of Umsha by Uzma Babar hub, you should too check out all the pictures of these bridal dresses. 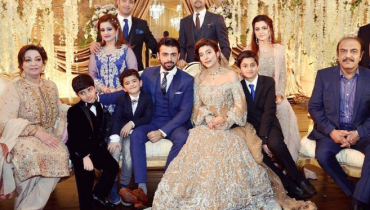 As soon as we will have in hand more pictures of these Umsha by Uzma Babar bridal dresses, we will be sharing with you too! 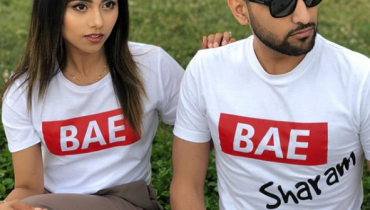 It is time to wear the most amazing dress on your wedding day, it is time to loo like a queen on your bridal day and you can do this by taking help from these pictures. 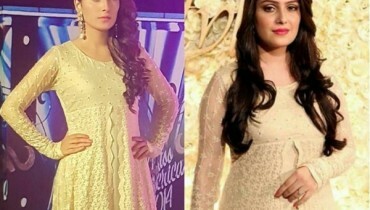 Let us know too that which one is the best one Umsha by Uzma Babar bridal dress?